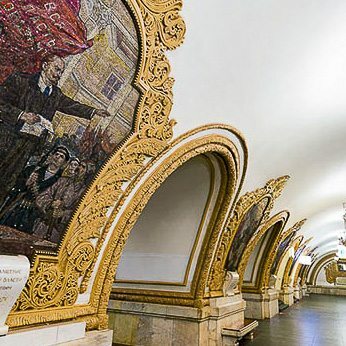 80 Years of Magnificent Moscow Metro Art - Does the Politics Matter? What happens when a patron of the Arts comes from Politics, rather than Royalty, Religion or the Rich? 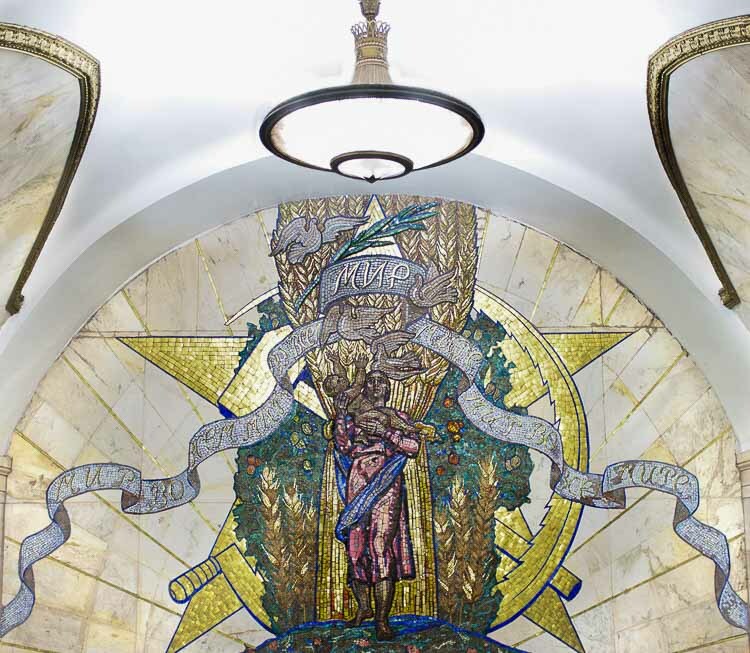 Moscow Metro Art is one the world's best-known examples. 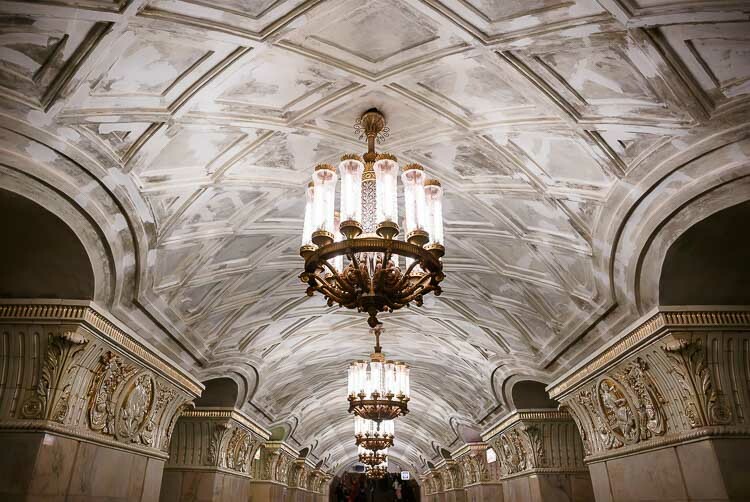 The Moscow Metro contains stunning architecture and interiors, of a standard more usually seen in museums and galleries. 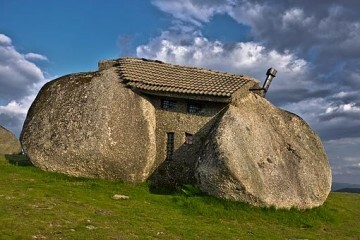 It's the result of a unique combination of totalitarian communism and Russia’s magnificent cultural heritage. But dig deeper, and you also find a proxy for waves of profound political change around it. 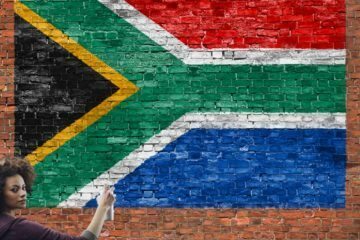 For over 80 years it’s been a constant symbol of fierce pride and national identity, during periods when virtually everything else in life was uncertain. 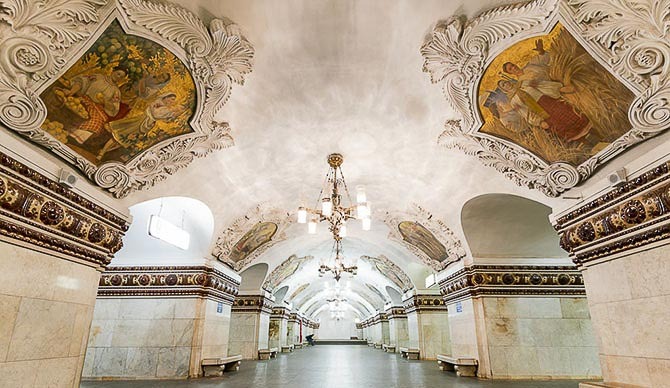 Moscow Metro Art only exists because a state chose to create beauty at a scale impossible for the regular art world. Its motivation was unapologetically political, and at immense cost at many levels. 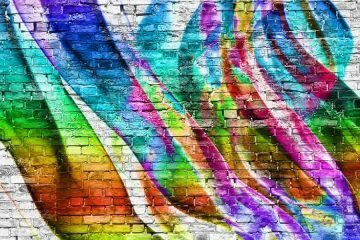 Unlike monarchs, religions and the wealthy, this art can't be easily separated from the intentions of those who commissioned it. It begs the question of how much Art is compromised when motivated by politics. And what does that mean about how we approach and appreciate such Art? 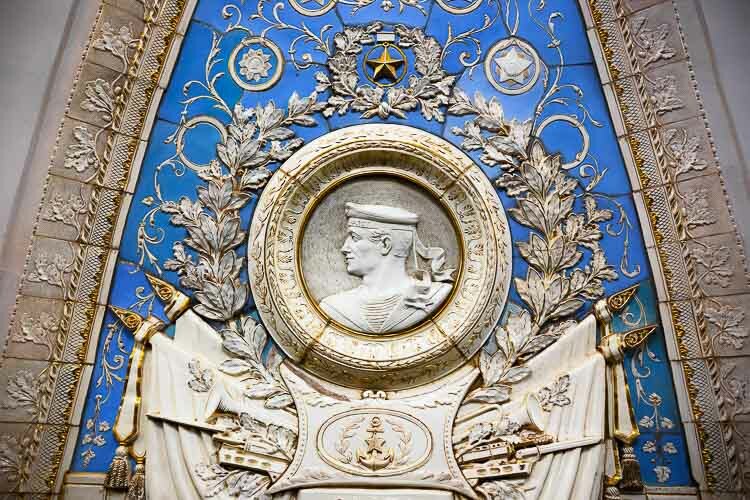 Moscow Metro Art - Who, What & Why? 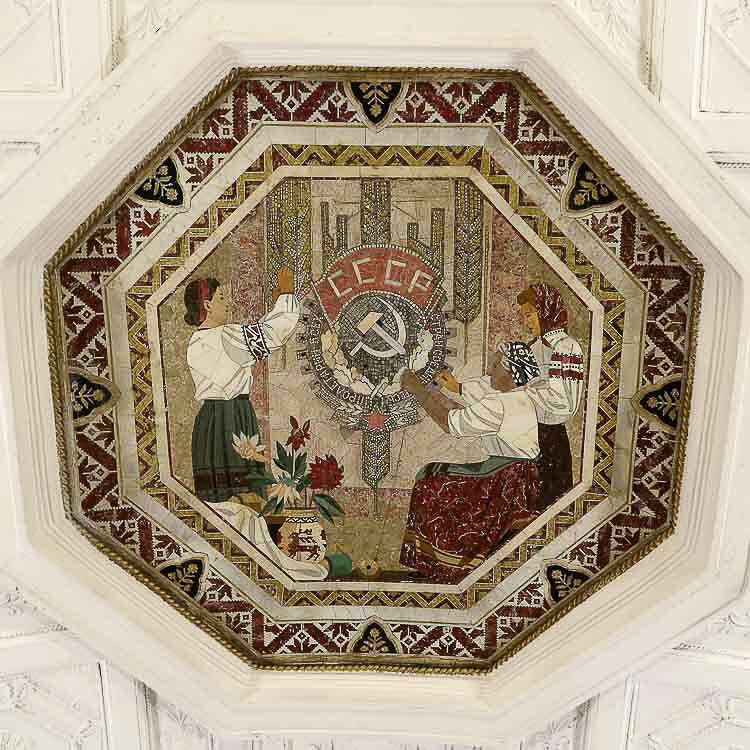 The Moscow Metro Design Ethos: "Aesthetics, Technology & Ideology"
The Moscow Metro Art Ethos: "Socialist Realism"
"Better" Politics and "Worse" Art - a Coincidence? 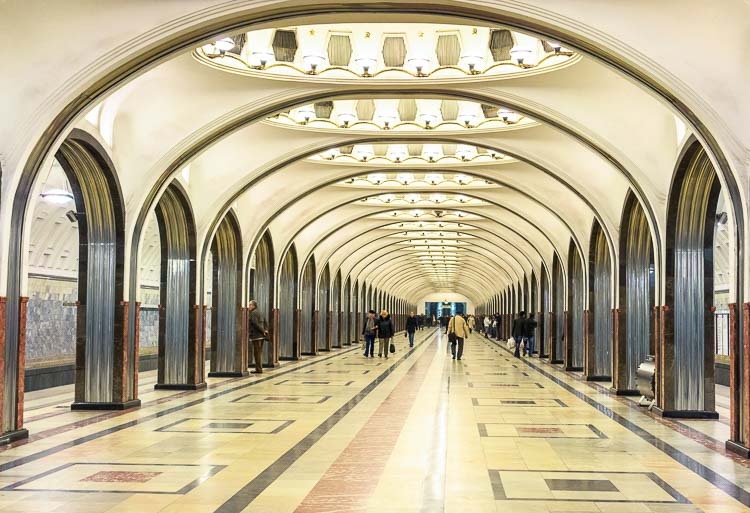 The Moscow Metro opened in 1935, but was actually conceived three decades earlier in the reign of Tsar Nicholas II. 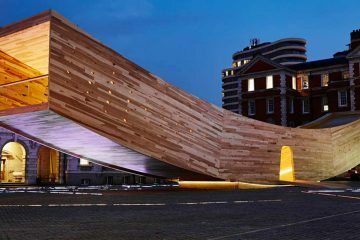 From the outset, it was about symbolising Russia's place in the world alongside London, Paris, Berlin and New York. Moscow city leaders received plans as early as 1902, keen to equal or better city transport systems already running in the three European capitals and well on the way in America. It's not known if the Tsar was personally involved, but he was very well-travelled, and would have had a better understanding than most of how quickly competing capitals were advancing into the 20th century. There was no material progress on the Metro plans for a while, courtesy of a World War, two revolutions and the collapse of the Russian Empire. But when the plans were finally approved in 1932, they contained DNA from an earlier era of grand empire and ostentatious monarchy. Common to both times was deep pride in the nation and its great cities. Joseph Stalin would no doubt turn in his grave at being compared with his imperial predecessor. He might argue that his need for the Metro was about industrialisaton, urbanisation and affordable transport. But there is a grandness and pomp about the design of the early stations which is undeniably regal in character. Stalin's approach to constructing the Moscow Metro was, like everything else in the new Soviet nation, all about influencing, educating and controlling the population. One important aspect​ was developing Soviet capability to construct and deploy technology at scale. 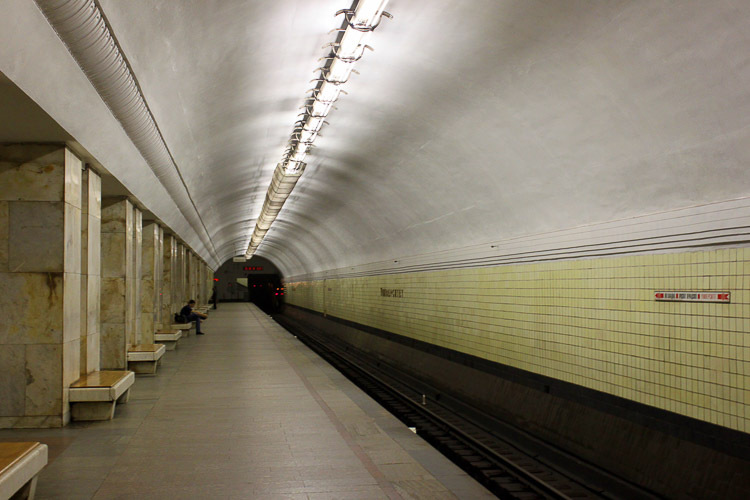 In many ways, the Moscow Metro was a prototype for later Soviet technical and engineering programmes. Equally important was the need to surround passengers with Stalinist values, ensuring travellers were also continuing their journey from citizens to Socialists while riding the trains. But this wasn't simply about crude posters exhorting healthy messages, it was more sophisticated. It showed Stalin's understanding of the potential power of art ​to influence minds. 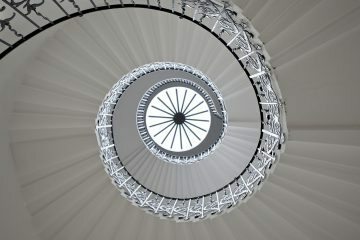 Thus, plans had to conform to the three tenets of Aesthetics, Technology and Ideology, and any that didn't were re-done. 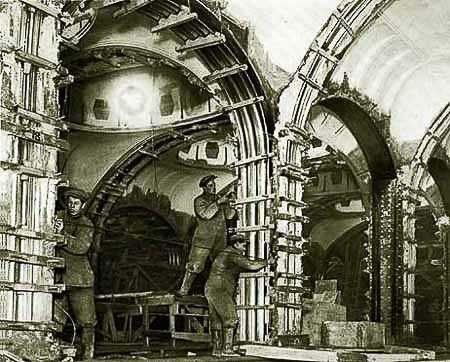 So art was an integral design element of the Moscow Metro system from the outset. If it had just been a matter of adorning stations with art of the day, making artists publicly show support for their leaders, it would have been comparable with what powerful and wealthy patrons of art had been doing for centuries. 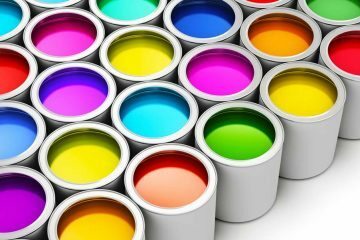 It seems to be an acceptable compromise that if someone pays an artist to create, they have bought the right of some influence on the result, even if only the subject matter. 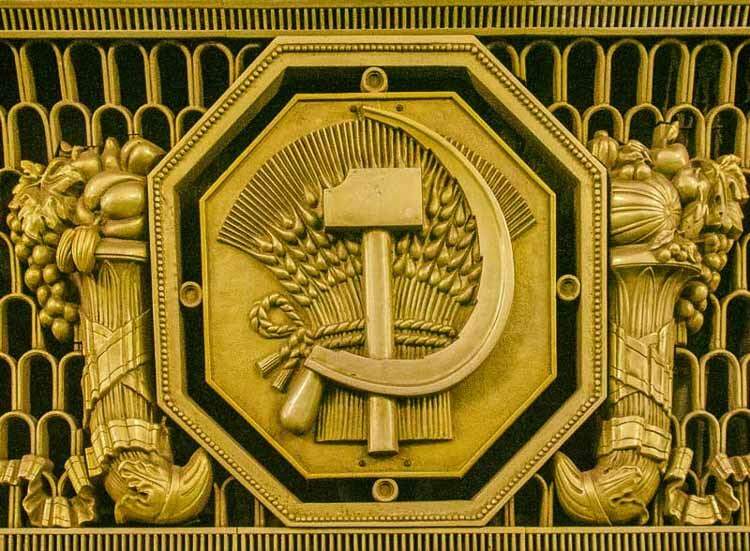 But for the Soviet state, not only was art on the Moscow Metro for a specific purpose, its style and form was also tightly controlled. 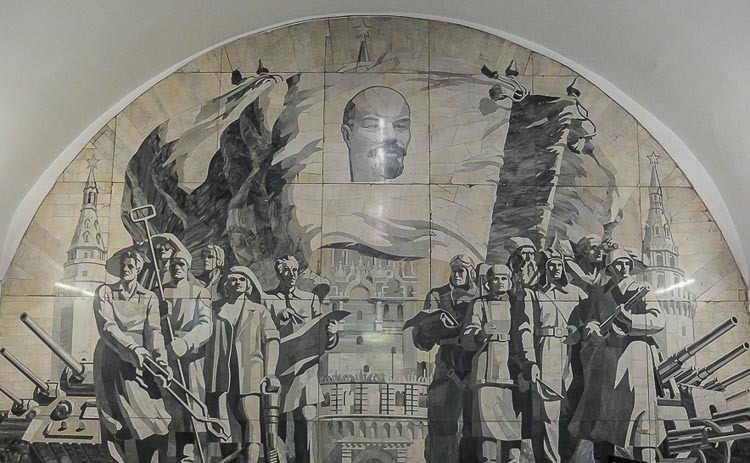 The Moscow Metro was the first large-scale, public display of an art style known as Socialist Realism. The concept was to use art to depict communist values, glorifying them with realistic images of everyday life. This style of art was put into practice in a way consistent with the way the rest of the state was run - prescriptive to the point of absurdity. But it was very real. One example was Narkompros, the state body responsible for, among other things, controlling culture in society. Its first head, Anatoly Lunacharsky, defined how the human body should be represented in art to have the most positive effect on citizens. He believed art should depict Lenin's ideal of Soviet Man, educating people how to become perfect Soviet citizens. 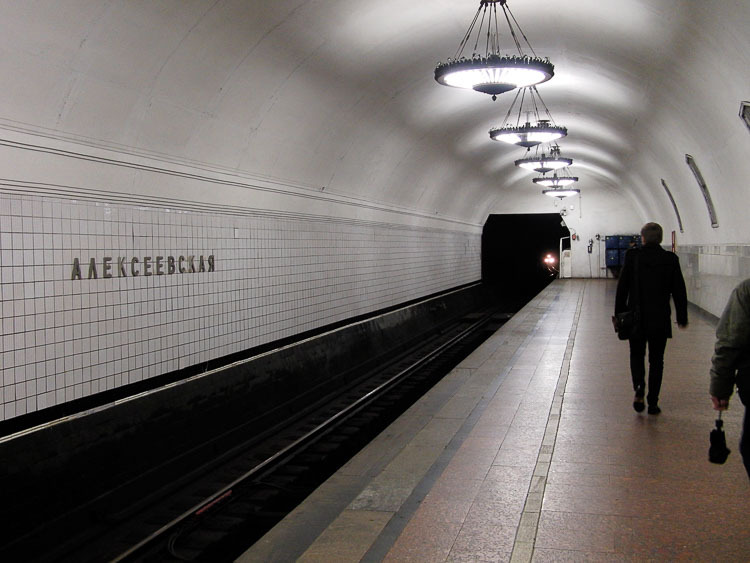 Here's a series of pieces from Belorusskaya Station that epitomise these guidelines. 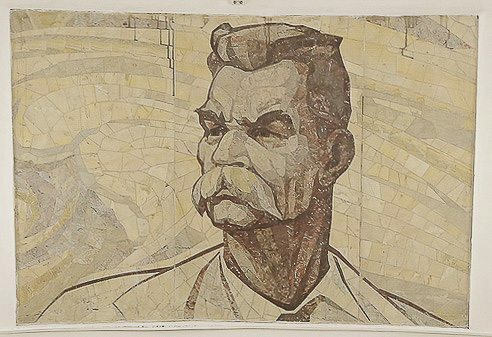 The first period of Moscow Metro Art was an extravagant celebration of Stalinism and the new Soviet state. The first 11km, 13 station stretch was constructed as part of Stalin's First Five-Year Plan. Socialist Realism was at its height, and the State was enthusiastically imposing its ideals and ideas on the country without much overt opposition. It's hard to find anything other than official records of the era, but the impression we've gained is that there was at least initially an optimistic acceptance by the people. The art was grand, celebratory and idealistic. Paintings followed the strict formulae of good Soviet art, with pictures of hard-working, ordinary people serving their country through the dignity of labour. 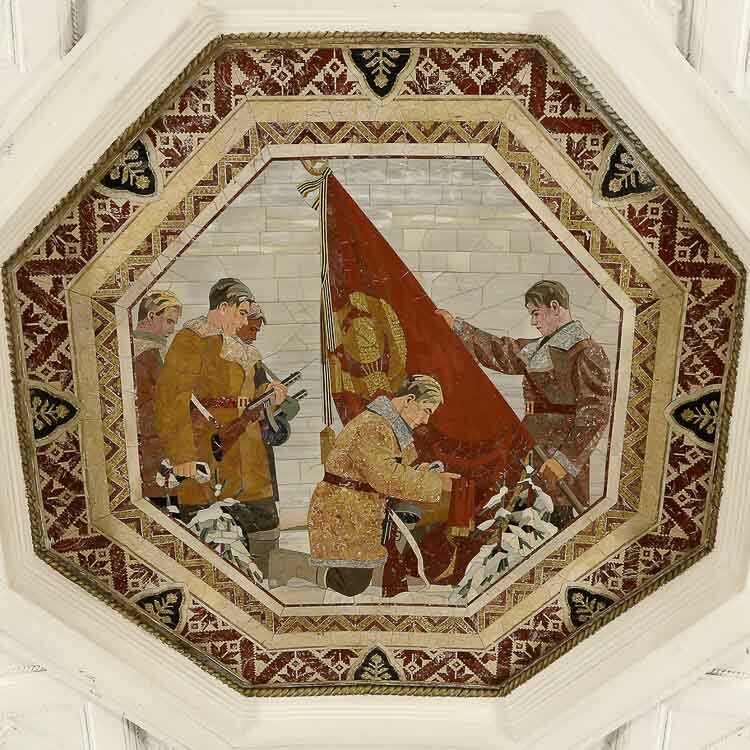 At the same time, Moscow Metro Art reflected the sense of moral superiority that comes with all successful revolutions. There was an air of showing each other and the world that everything Soviet was better. Regardless of how its creation was managed, the art conveyed a heartfelt sense of belief that it was true. What we find fascinating about the art of this era is that despite the absolute break with the past, and the hatred of all it represented, Soviet leadership managed to recreate a haughty, arrogant national pride that would have resonated with the Russian Tsars they had despatched. This is particularly apparent in the architecture of the stations, with the grand arches and art deco style of the open spaces. It also shows in the statues, as well as prominent details such as the chandeliers. 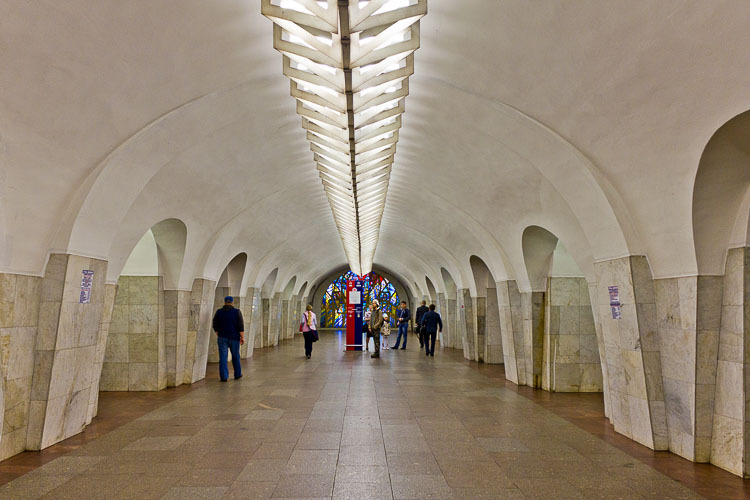 Because the pace of building was so rapid over this period, the artistic style was set for the whole Metro system. 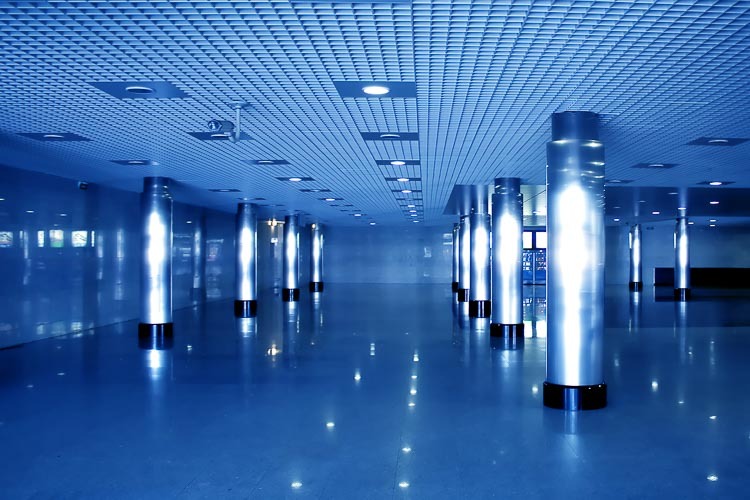 So for the following decades, anyone designing new stations would have to consciously choose to break the existing style to avoid this feel, and the contrast would have been abrupt. Which indeed it was by the time such a change set in. The relentless Soviet industrial machine kept working through the War, only slightly slowed by straitened circumstances. 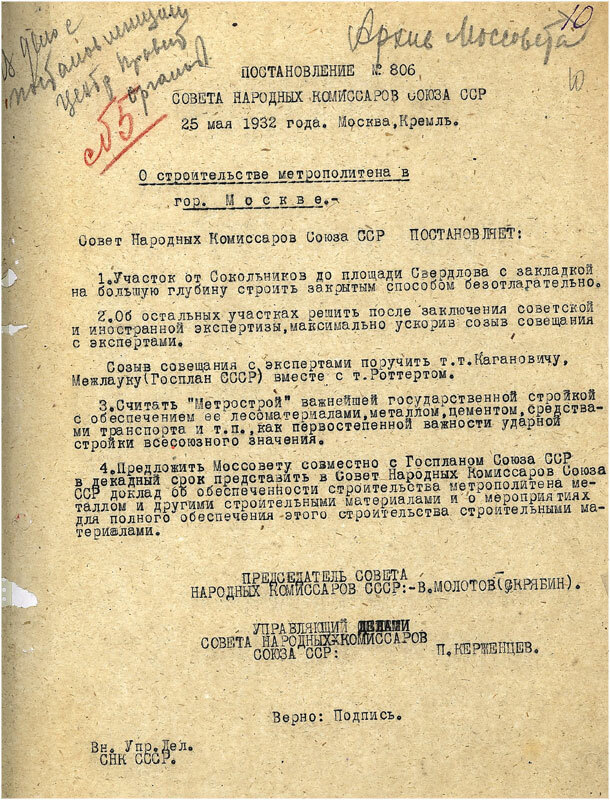 Two new sections of the Metro had been scheduled for the War years, and so tunnels and stations continued to be completed and opened. From an art perspective, the tangible change was the shift from celebration of Soviet everyday life to images of victorious Soviet military. It also reflected the country's siege mentality, not just literally from the Siege of Moscow, but also from the complex, ambiguous relationship with the other Allied nations. 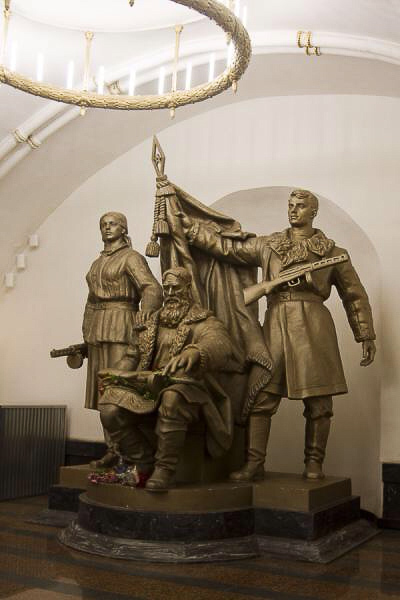 So the art was directed to show monuments to soldiers defending Mother Russia, and rich paintings of Soviet heroes defeating the latest enemy of the day in battle. But apart from the change in subject matter, the style and tone was very similar to earlier Moscow Metro Art. Belorusskaya on the Koltsevaya Line, from 1952. Just like the politics and lives of the day, idealism had to cope with the reality of a rapidly changing post-war world. 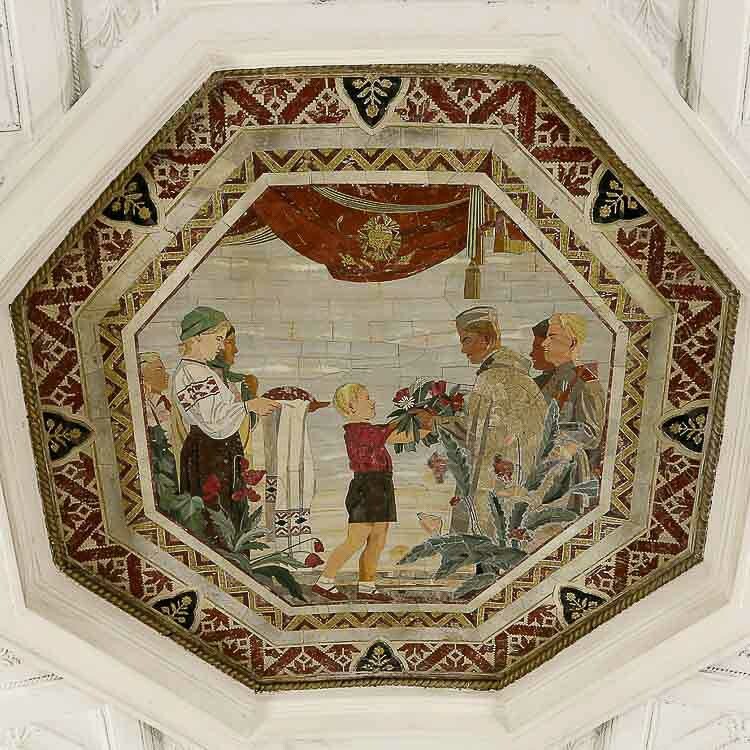 And again, the political changes show in the evolution of Moscow Metro Art. It was only with the ascendence of Nikita Kruschev in the 1950s that the extravagant interpretation of Stalin's Socialist Realist Art finally died out. The backdrop was the beginning of the crumbling of the legendary Soviet industrial machine, along with the slowly dawning realisation within the population of what everyday life had become compared to what they'd been told. Anyone who has visited a Soviet city of that era will tell you that one of the strongest first impressions is of greyness, and a lack of colour. Cold War Moscow streets felt like a real-life black and white picture. 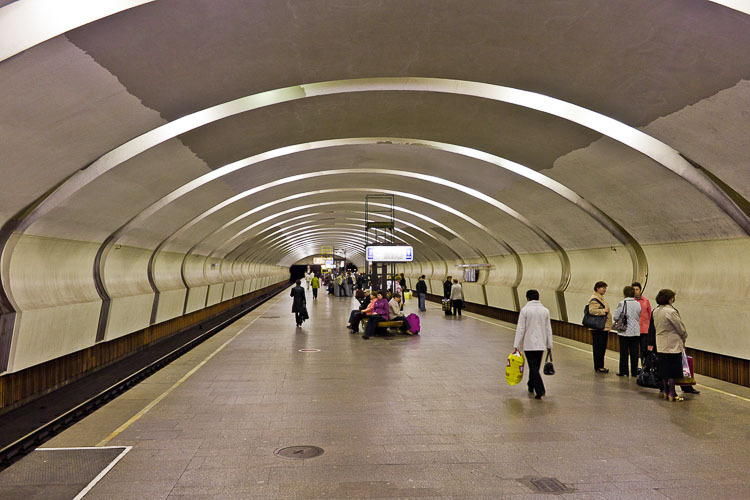 The art of the era, especially in the still-expanding Metro system, shifted accordingly, not least because the still-prescriptive Soviet leadership had redefined good Soviet art into a sturdier, more proletarian style. There had been a degree of idealogical and personal distancing from the Stalinist ideas, and the Metro's extravagant displays fell out of favour, replaced by something harder and more utilitarian. Visually, the new stations of this period lost the past grandness and sense of ceremony, and the overall feel of glory disappeared. 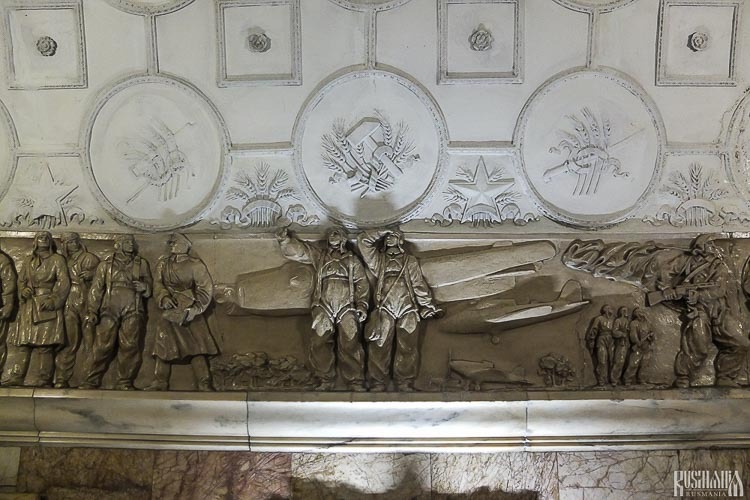 Moscow Metro Art moved into line with a country aiming to win the space race and arms race through technology, industry and hard work, and finding it hard to do so. 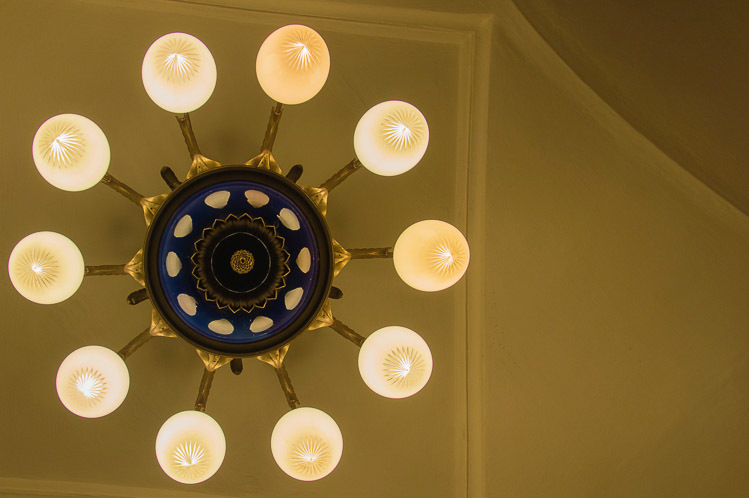 The ​Moscow Metro visual style of the Cold War era was functional, serious and industrious in nature, extolling its people to be good modern-day citizens who should work hard and be grateful that they were being protected from the evil influences of the West. 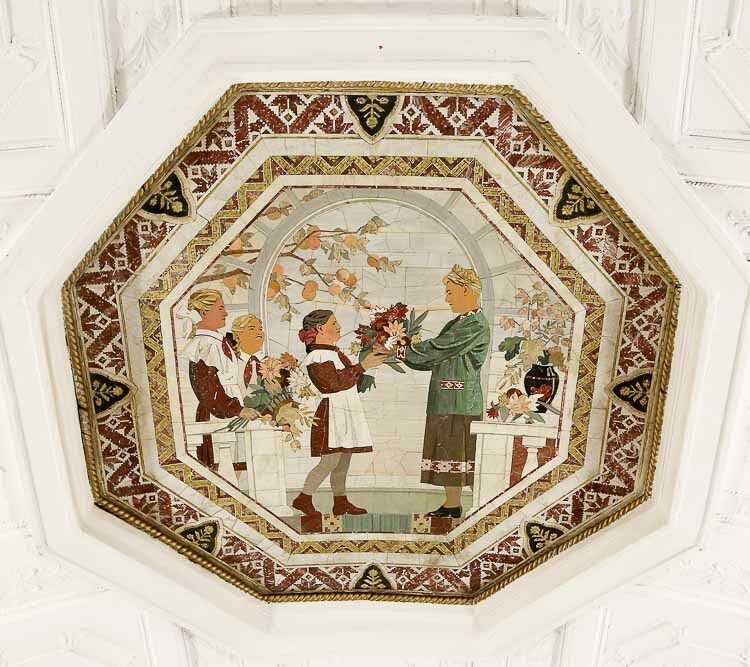 The longest period of Moscow Metro Art was its most forgettable. As the world now knows, the Cold War Soviet status quo was not sustainable, and ended with the implosion of the Soviet Union, and the explosion of myriad new influences around modern Russia. 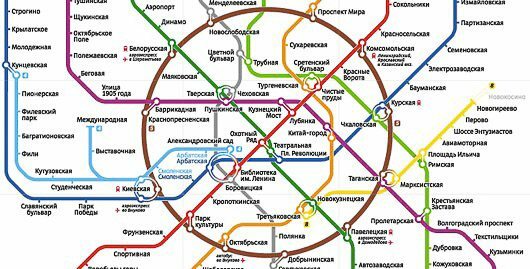 While there are many things that didn't work out so well through this transition, one possible exception was the Moscow Metro. The pride in the system remained, and its reputation as an efficient, technically good transport network was still internationally recognised. But now the development and direction of the Moscow opened to global influences, and the next generation of its character formed. 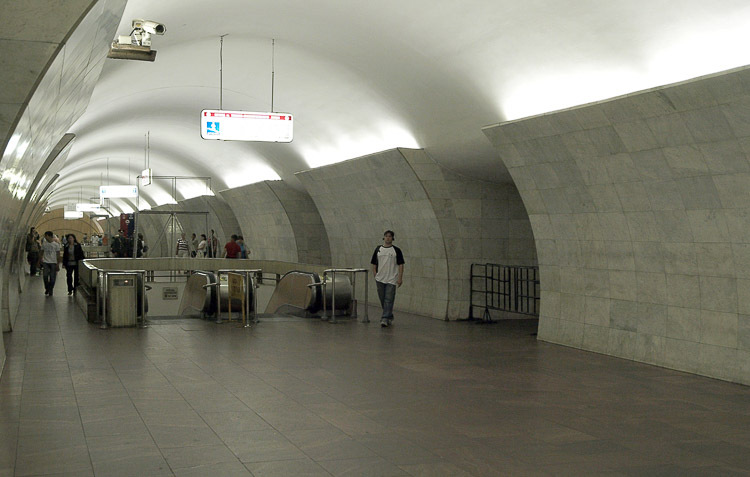 The Moscow Metro of New Russia is still impressive, and the busiest metro system outside Asia. Not only does it have the beauty of the original system and world-class punctuality, it now embraces modern systems for ticketing, and looks the equal of modern transport infrastructure anywhere else in the world. 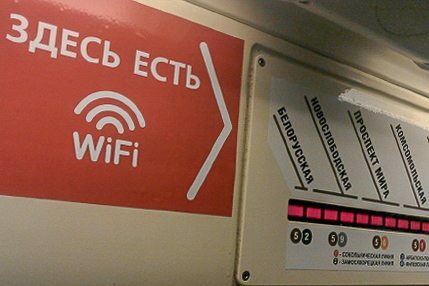 One example is the Moscow Metro's introduction of contactless smartcard ticketing in 1998 - the first in Europe. It's introduction was perhaps hastened by Russia's hyper-inflation of the 1990s, which made the previous coin-based ticketing impractical. 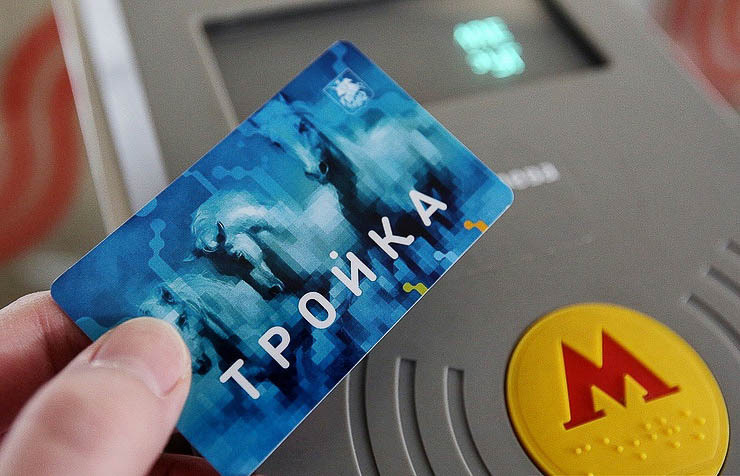 The use of plastic tokens, made a shift to digital ticketing much less of a hurdle. 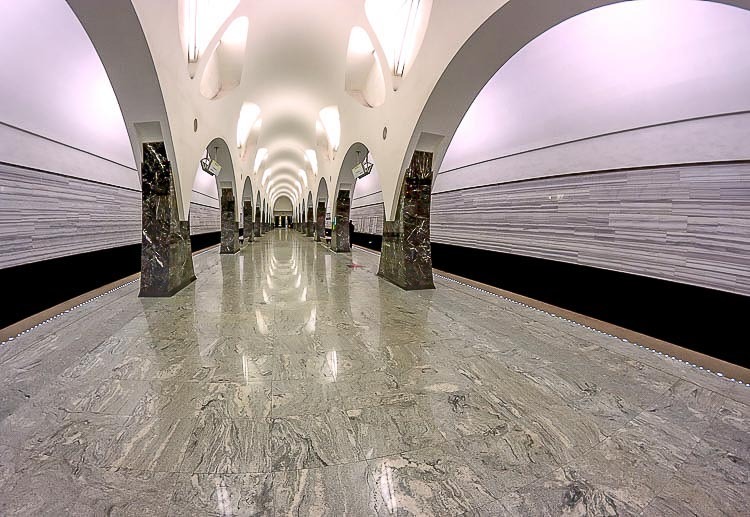 The relevance to Moscow Metro Art is that recent and planned stations are still visually impressive, but ​have become similar in style to any modern international city. 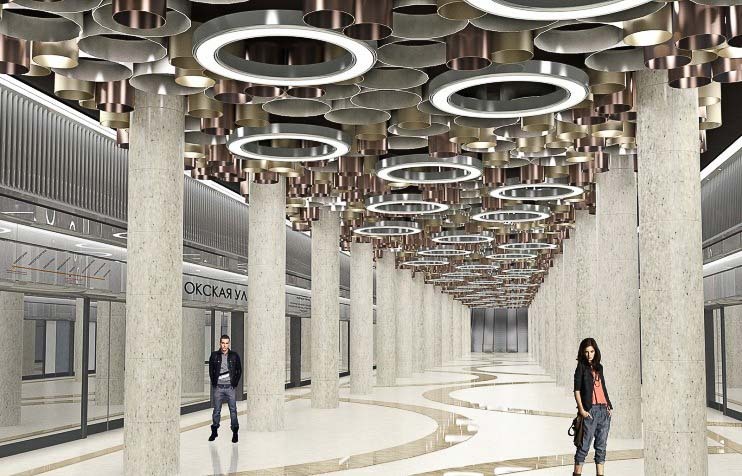 The global trend for expanses of glass, metal and concrete, with external frames and exposed innards, is alive and well in the Moscow Metro. 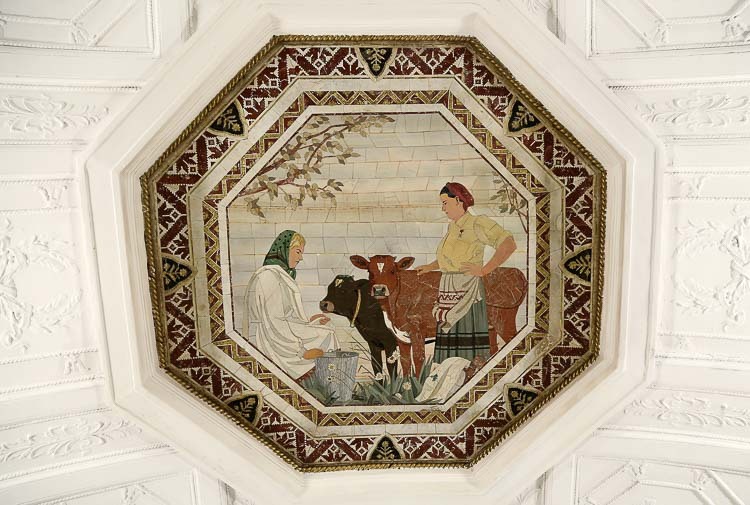 The older period art remains on much of the network, and modern-day stations maintain the tradition of appealing aesthetics in big, impressive spaces​. 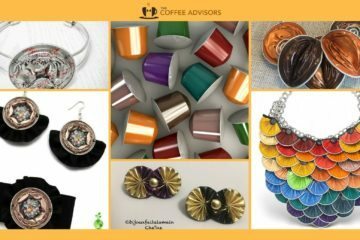 But as with so many airports and stations elsewhere, you could be in one of many other cities round the world, from Delhi to Dubai, Seattle to Singapore. The defining characteristic of New Russian period Metro Art is modern, impressive and anonymous. Modern, striking, but no longer distinctly Moscow? Joseph Stalin - inadvertent patron of art? Regardless of the political circumstances of the time, the early Moscow Metro is visually stunning. Perhaps the individual pieces aren't great, but the overall achievement is magnificent, and there's a strong case for defending the Metro on its artistic merits. The contrast with today both politically and artistically is strong. Ideologies have succumbed to popular and international pressures such as democracy and market economics. The Russian art scene faces less creative interference and censorship than at any time in living history. But as political styles have softened, the State attitude to art has changed. 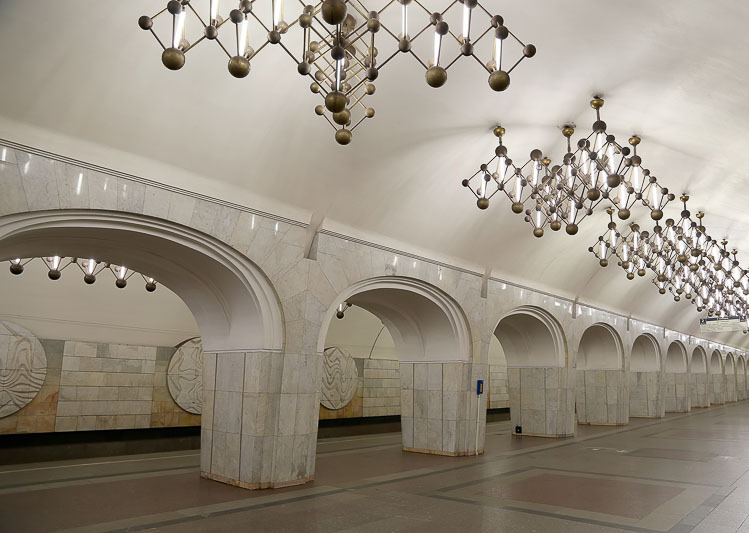 State-funded projects rarely show aesthetic ambition today, and this is equally clear in the 21st Century parts of the Moscow Metro. 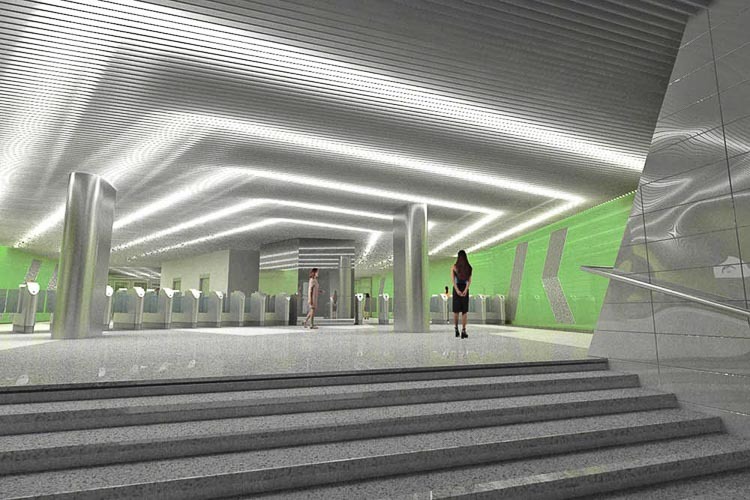 ​Modern additions to the Moscow Metro still look good, but are anodyne by modern standards. They don't hold a candle to other modern transport systems such as Stockholm, Naples, Brussels and Montreal. Obviously there's no simple link between strong politics and great art - many counter-examples show there's no cause and effect between them. But the question that does arise from this is how the people, system and intentions behind Art affects how we feel about it. This should apply to other periods of history, yet doesn't. Ancient Egypt and Rome rulers weren't exactly angels, and religious leaders of Medieval and Middle Ages can't claim clean hands either. Yet those institutions inspired, commissioned or created art that we admire and enjoy today, usually without questioning the political context or behaviour of those who paid for it. 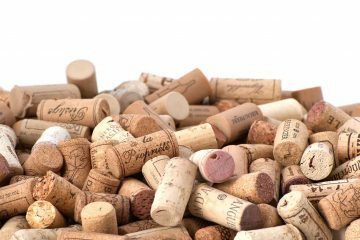 The answer is probably that these things just don't matter to us much, once enough time has passed, or perhaps that we don't think about that aspect any more. Once an era is old enough - with a few exceptions - the morality of the politics seem to become secondary to what we think of the art. The exceptions tend to be around issues that the viewer still personally relates to today - where despite the passage of time, the subject is for whatever reason still current. Examples might be slavery, national sovereignty still being disputed or genocide of people still seeking redress of some sort. 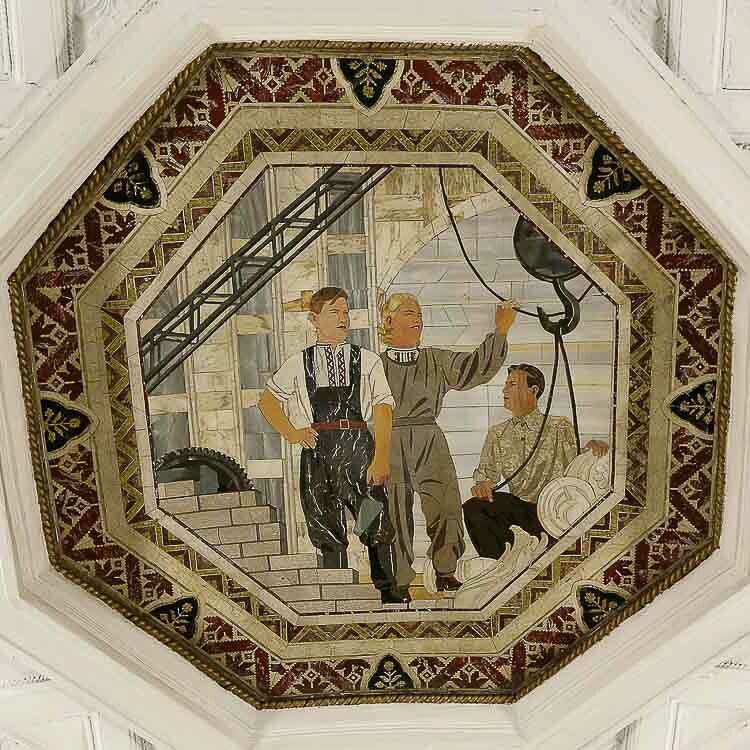 For Moscow Metro Art, there aren't many left for whom the politics of its heyday is that relevant any more, certainly outside the country. Memories of the political context have faded, leaving behind the art. 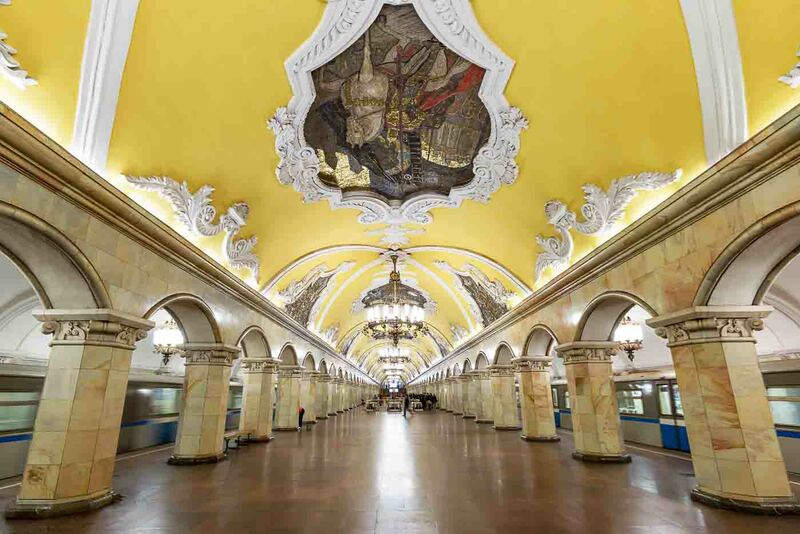 If you visit the Moscow Metro today, you’ll see one of the world's most impressive public displays of art, housed in one of the world's most accomplished transport systems. Both are possible because the authorities over the decades treated the Moscow Metro as a priority, including visually, and spent accordingly. With every passing few years, the politics of its 80+ year-old roots fade further into history, and its artistic merits become easier to appreciate. Today, the expanded, evolved system is still a modern wonder, and the political changes around it haven't diminished its impressiveness and aesthetic appeal. 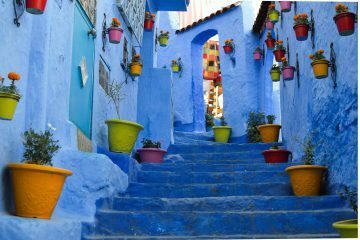 Regardless of what you think of the place, its politics and its history, if you love art and enjoy museums, you should add it to your list of must-see art destinations.